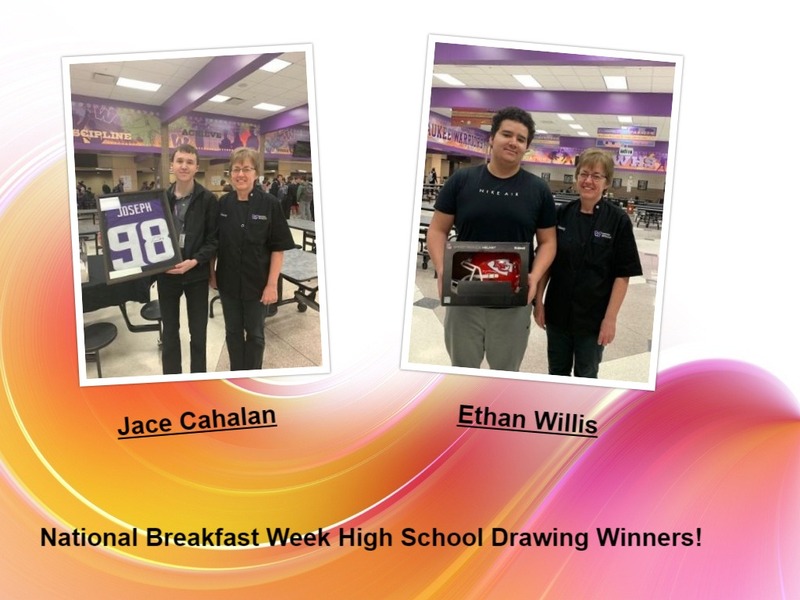 Thanks to the great partnership with Fuel Up to Play 60 and the National Dairy Council, Waukee Community School District received signed NFL memorabilia to use as prizes to help celebrate National School Breakfast Week (NSBW) at our secondary schools. 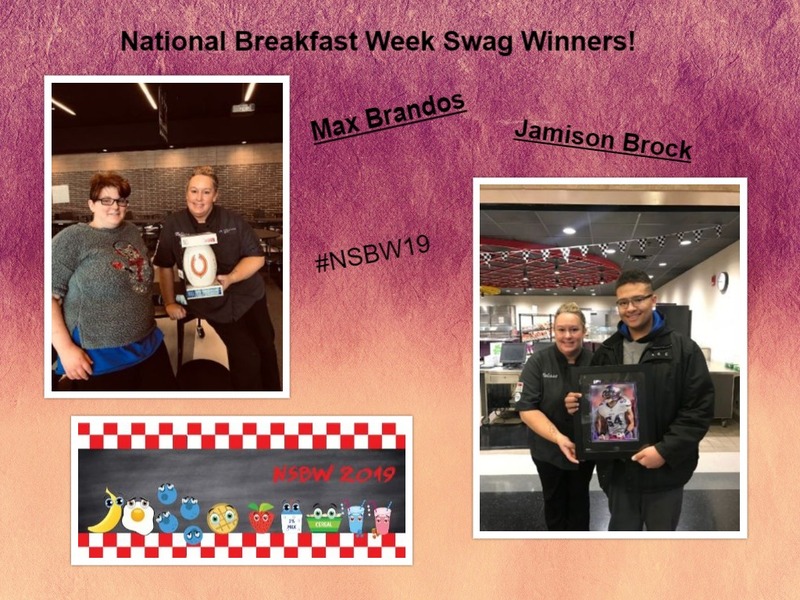 Students who ate a reimbursable breakfast during NSBW were entered into a drawing to win the exclusive merchandise. 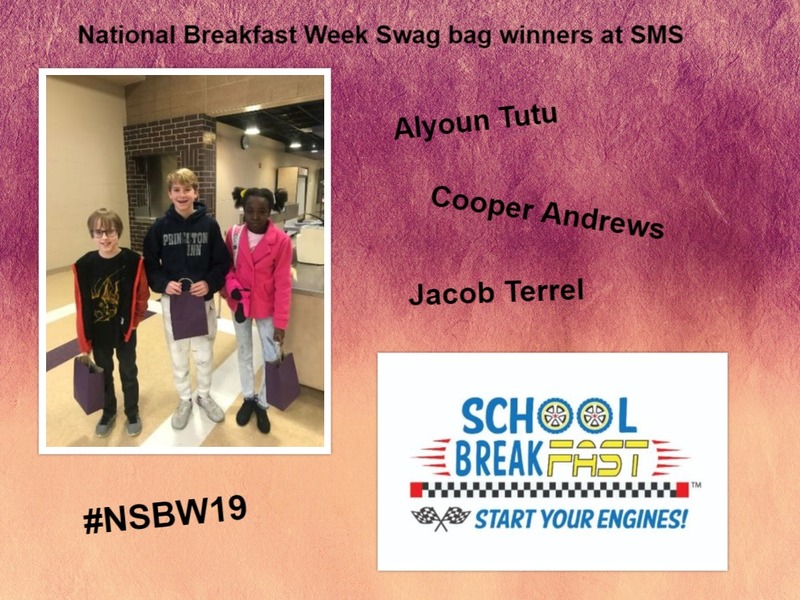 The odds of winning increased each day they ate breakfast. Fuel Up to Play 60 is an in-school nutrition and physical activity program launched by National Dairy Council and NFL, in collaboration with the USDA to help encourage today’s youth to lead healthier lives. Alyoun Tutu, Cooper Andrews, and Jacob Terrel were South Middle School’s National School Breakfast Week winners. 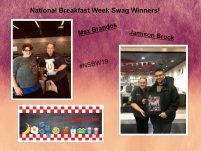 Max Brandos and Jamison Brock were Timbline’s National School Breakfast Week winners. 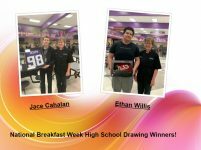 Jace Cahalan and Ethan Willis were Waukee Middle School’s National School Breakfast Week winners. 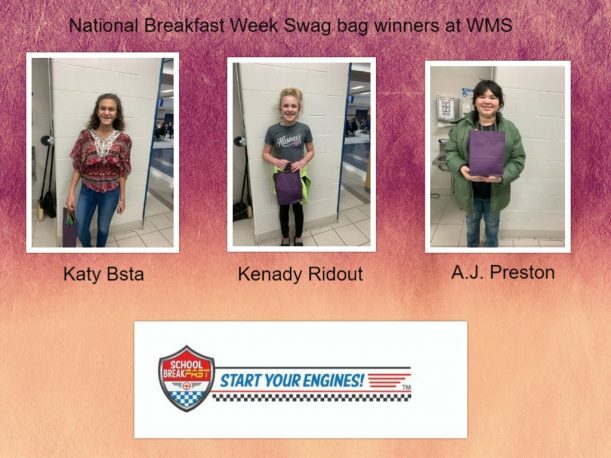 Katy Bsta, Kenady Ridout, and A.J. Preston were Waukee Middle School’s National School Breakfast Week winners.